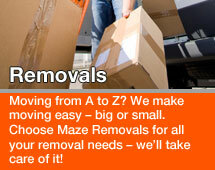 Maze Removals can offer you a choice of quality removal boxes, bubble wrap, tape or tissue paper. We've got the lot! 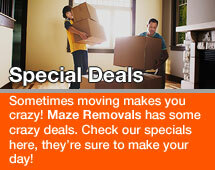 Maze Removals aims to make your move as smooth as possible. 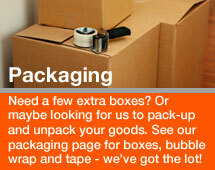 Our removal and packing teams can do your packing for your flat, house or office. 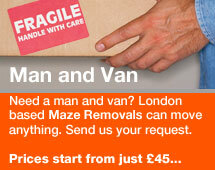 Alternatively, if you wish to pack yourself, Maze Removals will deliver all your packing supplies within 24 hours.